Like all It’s important to get an education. I have now been in Hamburg nearly a year and it makes me really just sad. Just the thought of it, or rather by writing this makes me cry. Hamburg is really a great city to be in, and that is why it makes me also hurt that I possibly smoking back to Denmark. There went the goat in the compared to apply for student place in Hamburg. So the only alternative, where I saw it as safe, was to apply for a student in Denmark. 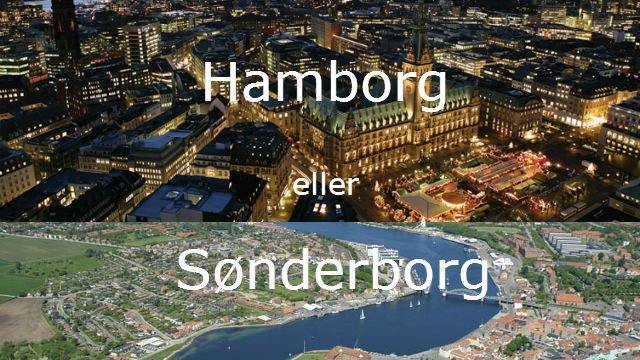 There is my choice already Sønderborg, because I have a great interest in the international market. And it is the perfect that they Business Administration (Business Administration). The focus is on trade between Denmark and Germany, but of course also in major international perspectives. BUT! – In turn, I made contact with a Danish company which is located in Hamburg. Maybe or maybe not if you are lucky to get a job. However, it should not be any job. They have not responded to my email yet for a meeting about possible Dual-Studium (like HA, where you work and study at the same time). So I glæææder me insane much to get answers from them.